In this paper we present a set of game design workshops in the context of which we investigate design practices and elaboration of game ideas. The workshops aimed at engaging participants in crafting designs for location-based mobile games. We analyse the rationale underlying the workshops and describe their structure and the involved material. Next we outline the characteristics of six cases where these workshops were implemented and finally we present a representative set of games produced by the participants. Altheide, D.L. : Reflections: Ethnographic content analysis. Qualitative Sociology 10(1), 65–77 (1987), http://link.springer.com/article/10.1007/BF00988269. Westera, W., et al. : Serious games for higher education: A framework for reducing design complexity. 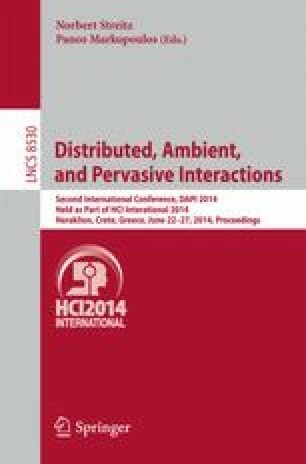 Journal of Computer Assisted Learning 24(5), 420–432 (2008),http://onlinelibrary.wiley.com/doi/10.1111/j.1365-2729.2008.00279.x/full.